If you want to learn about WordPress, blogging, get tips and tricks and other WP whatnots, these top WordPress resources are perfect for you. With the amount of websites out there dedicated to WP, it’s hard to find a reliable one. Not that there is a ton of poor ones, it’s just that there are too many good ones. You can read article after article, visit site after site and at the end of the day you will notice you wasted the whole day for browsing and reading. Sure, you may learn a lot, however, it will more likely be that your mind will be confused and stuffed with too much information. To be frank, it’s better if you do it step by step. The first step is to find places on the world wide web that cover what you are in need. We all hope to find that one special place that has it all but as soon as we realize there is no such place, the better. Seriously, there is no such place. Finding yourself the best resources might be the hardest step of them all. That said, we did all the hard work for you, putting together a list of WordPress resources that will have you covered with pretty much everything WP. From here on, let the journey into the WordPress world begin for you. Whether you are a complete newbie, intermediate or advanced WP user, all these blogs, news sites, as well as theme and plugin platforms open the doors for you. With this list, there is something for everyone. It’s just that sometimes you will need to dig a bit deeper into the site to find what you are looking for. Hint: use the search bar. Let’s get back to the year 2010. 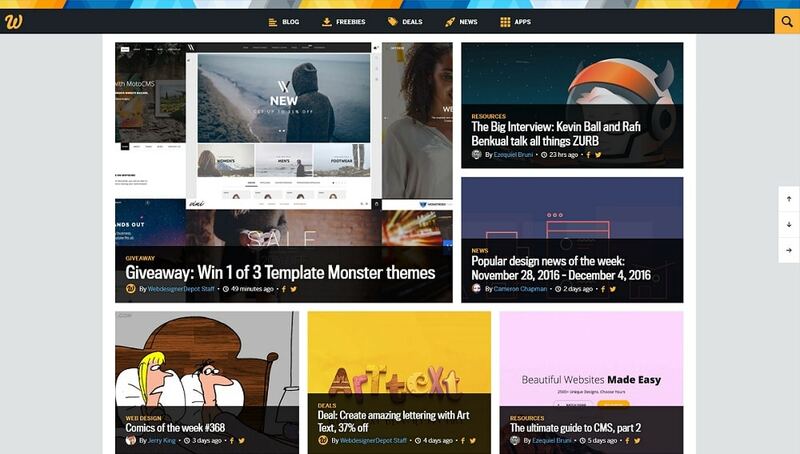 It’s the year when a WordPress enthusiast Oliver Dale launched a new WP platform, WPLift. 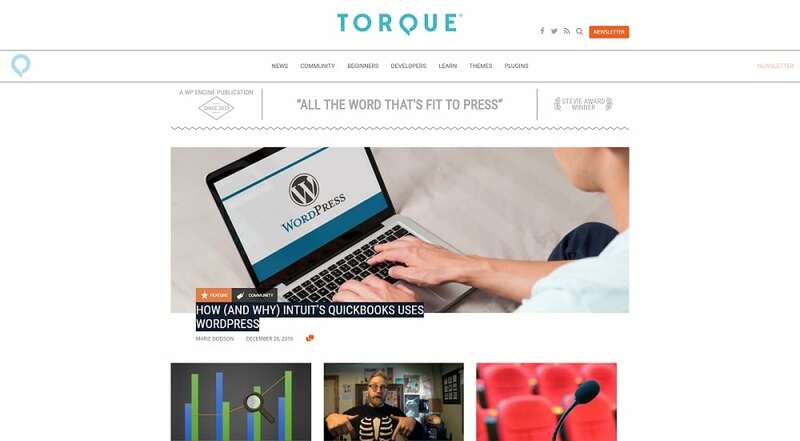 It was and still is an online source where you can find all kinds of WordPress tutorials, as well as industry news. From how to start a food blog and speeding up your WP site to plugin guides and interviews with product owners, you can find it all on WPLift. Finding a hot spot, Oliver managed to grow the website to hundreds of thousands monthly users. The goal of WebsiteSetup is to create free, regularly updated, step-by-step WordPress related guides and tutorials that make sense to everyone. 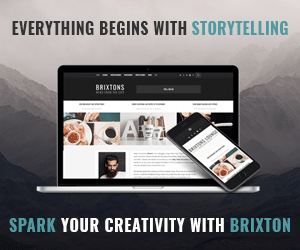 Whether you’re building a site for your business, an experienced or aspiring blogger, or setting up an e-commerce store, you’re sure to find something valuable here. Do you need to expand your designer horizon? Do you need inspiration and tutorials how to get things done? 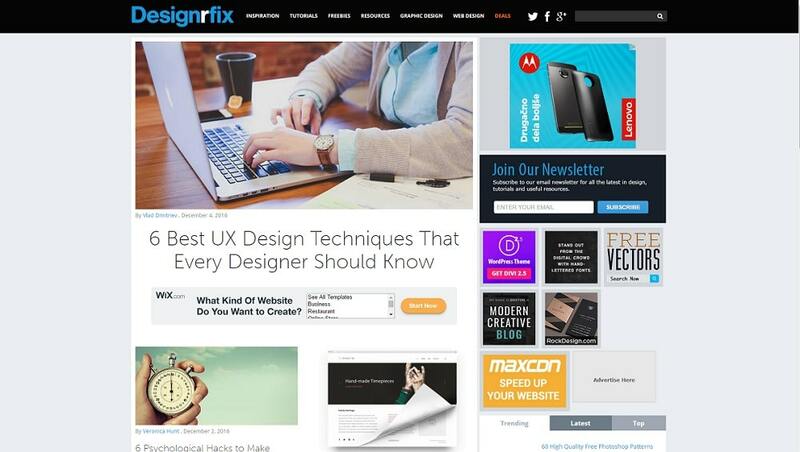 If so, Designrfix is a place you should not miss. Though they do share their own work, they try to be less selfish and focus on the community the most. 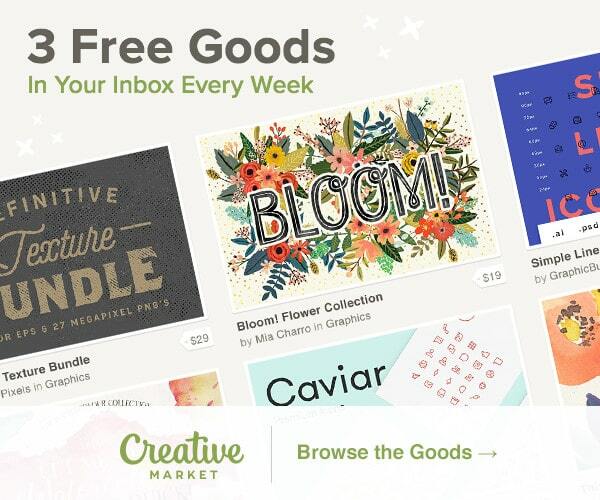 You will find all bunch of awesome stuff on Designrfix, freebies, top trends, and web design, too. Follow the website and you will always be up to date with what is hot, what to put focus to and also continuously educating yourself. Get you WordPress site to stand out from the crowd and allow your users to always have an unforgettable experience. WPArena “The Ultimate Universe of WordPress” is one of the oldest authority blog related to WordPress Tips, Tricks, Tutorials and Guides. WordPress Arena is considered as one of the best blogs for “How to build” series, “SEO” Series, and “WordPress101” series. WPArena is accepting guest posts too. 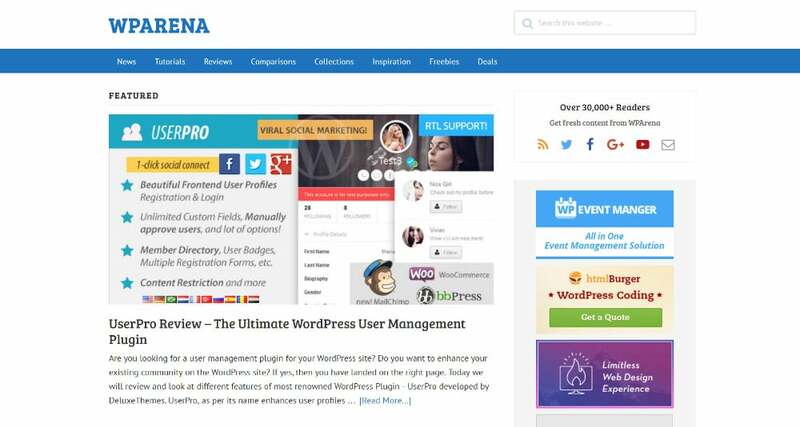 If one of you wants to promote your WordPress Plugins, Themes and Products, then WP Arena is the best medium. With over 30,000 subscribers, it’s one of the most reached WordPress blogs. Further, WPArena provides WordPress Deals, Coupons and different Services. 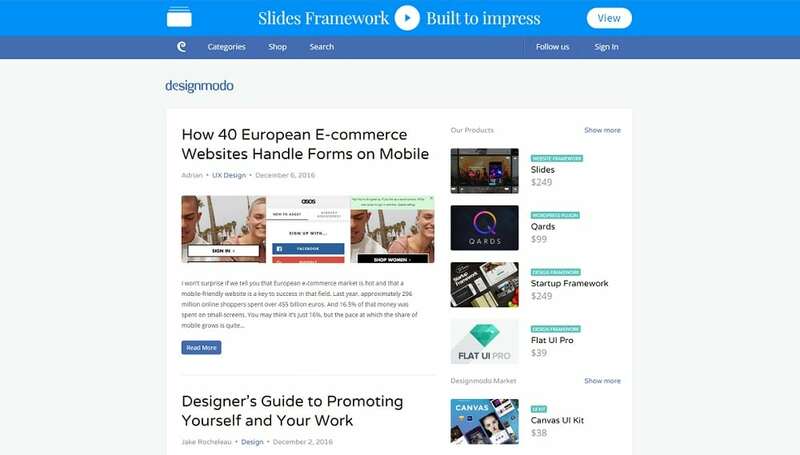 With Designmodo, you will always be one of the first to know about new trends and what is hot. With designers and web developers in mind, you will always be treated with only the most important material that fits your industry. They began testing the waters on a Friday the 13th back in 2010 but made their official launch early 2011. Depending on your interest/business, you can quickly access what you fancy from the categories drop menu. Design, tutorials, coding, inspiration, you name it, there is something for everyone. Not to mention, if you are after something specific, just type it in the search bar and watch the magic happen. 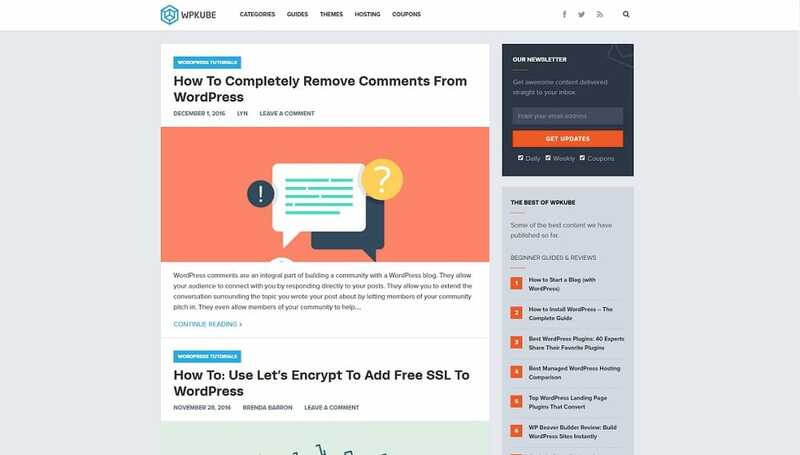 WPKube is one of WordPress resources that puts main focus on guides, tutorials, how-to’s and general news, too. The website was founded by Devesh Sharma, and is a place where you get to feed yourself with everything WP. From beginners guide how to start a blog and how to install WP to even some more advanced stuff. You will also find a variety of coupons that can help you launch your project or upgrade un existing one for a lot cheaper. 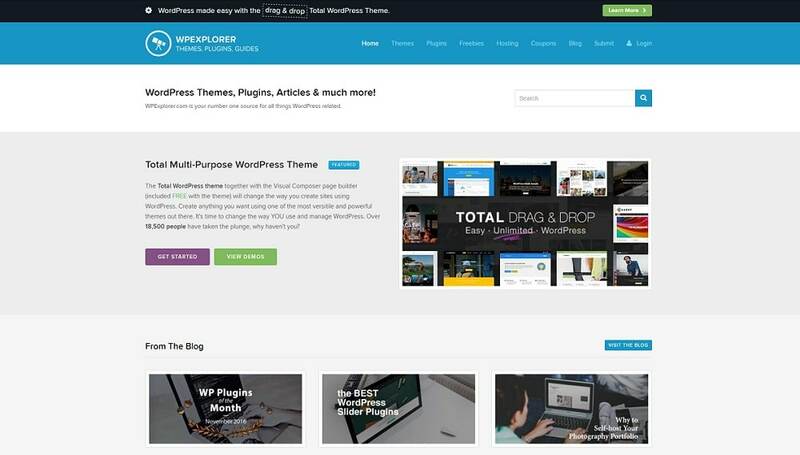 Find a WordPress theme, get hosting and add top plugins and you are ready to blow your audiences’ mind away. 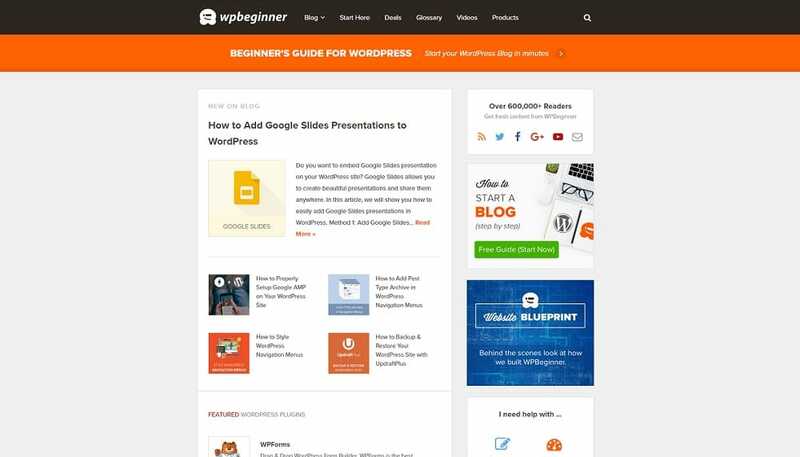 Needless to say, WPBeginner is for all the newbies out there who are starting out in the WordPress space. 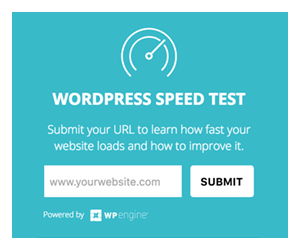 Founded in July 2009 by Syed Balkhi, his main goal was to provide top-notch tips, hacks, tutorials and everything that helps a complete WP beginner get online effortless. Not only that, but it’s also a place for all of you who are interested in improving your WordPress sites and making them even more appealing to the eye. Stop by, and you will see how much quality articles there are, each helping you solve a problem and/or issue you may have. Don’t miss new blog posts and check back on a regular basis. For all the lazy out there who don’t like to jump from page to page, WPExplorer might be your perfect place for everything WordPress. Almost. 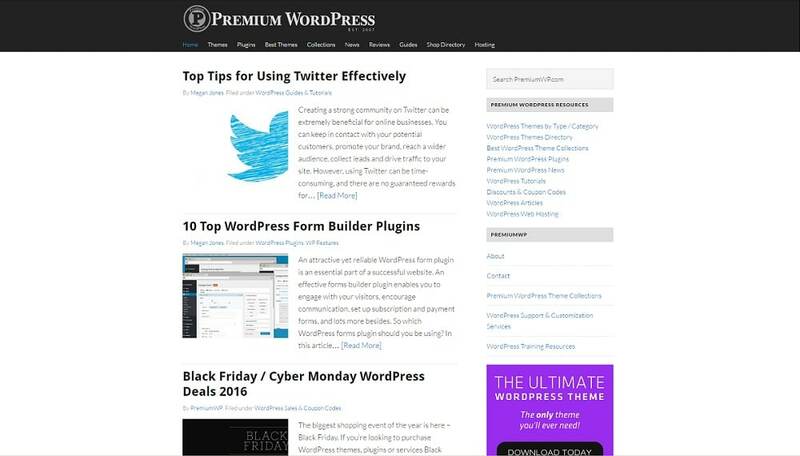 Explore themes, plugins, news articles, freebies and, like mentioned, just about everything WP. Not to mention, through all the guides you will find, you can educate yourself and expand your WP knowledge base. You might just find yourself that special online gem that will serve you as the best WordPress source that covers each and every section of the industry. Plus, if you scroll all the way to the bottom of WPExplorer, you will find the “Recent Coupons” section with some of the hottest offers. WP Mayor has things sorted out from 2010 when Jean Galea founded the website. With all the work and effort that was put into the project, the website started growing rapidly, what allowed Jean to expand the team. Nowadays, there are Alyona and Mark who do a great job running the website, as well as a bunch of contributors from all over the globe, keeping the content fresh. 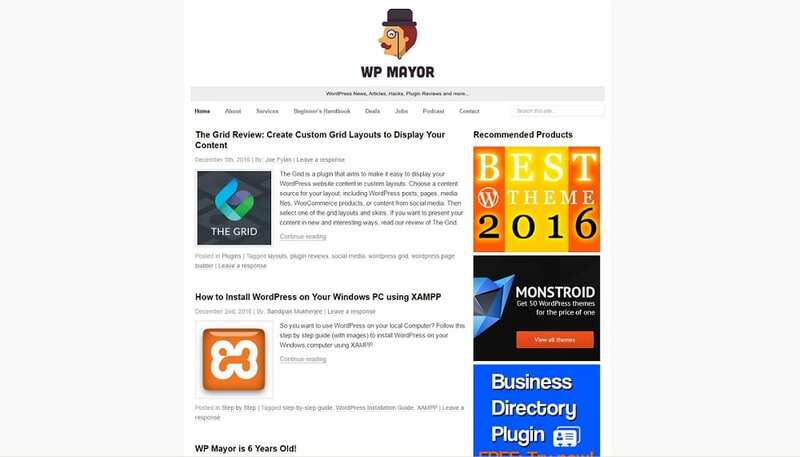 Specializing in WP news, hacks, articles, plugin reviews and all sorts of other things, WP Mayor always keeps you up to date with what is going on in the world of WordPress. Never miss a thing anymore! The one and only tavern, the WP Taver has quite an interesting history. It was officially launched back in January 23rd, 2009 by Jeff Chandler. However, two years later Jeff announced that it got purchased by a new owner. It took them all the way to the May 20th, 2013, when they finally announced who the new owner is. Surprisingly, it was no other than Matt Mullenweg. He kept on creating content for the website and managed to grow it to one of the top WordPress resources. Many more writers were added to the team to cover a wider specter and offer even more WP related material. When you put together 3 serious WordPress junkies and let them use their imagination, magical things happen. 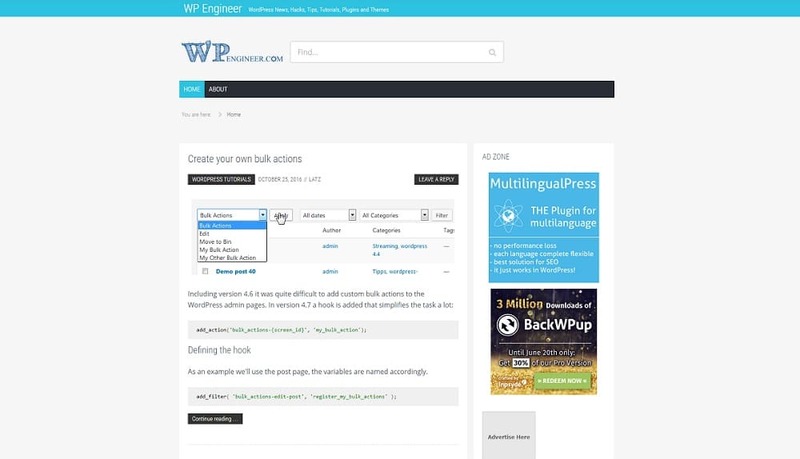 In this case, they launched a WP dedicated platform simply called WP Engineer. With all the knowledge they gather over the years, they wanted to show the WP space in a different light. Not exactly different, more like present it in a way to show how awesome the industry is. That said, they started putting together content after content what helped site owners with tips and tricks how to make their sites look and function even better. The community grew to a solid fan base of trustworthy WP enthusiasts. PremiumWP dates its launch all the way back to the year 2007. 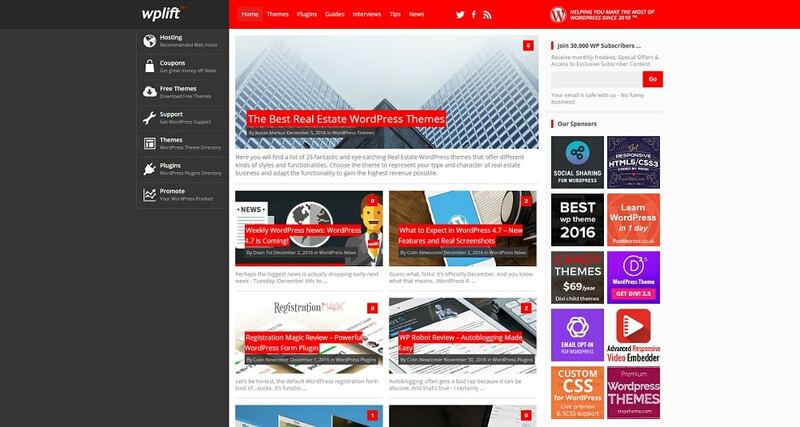 Ever since it went live, it focuses on one main thing; to find the best premium WordPress themes. Along with that, it also features top plugins and services, as well as industry news, tutorials and guides. By reading published articles, you will not have any problem building yourself the perfect premium website. The look of PremiumWP is very minimalistic and its content very easy to digest. You will undoubtedly understand every topic they cover since their articles are very thoroughly written. I must say that Webdesigner Depot might be one of my favorite design sources. Not only do they provide a ton of quality and very helpful articles, there are also some fun and entertaining posts to help your get through the day. Blog section has several subcategories that will feed you with content about marketing, business, branding, comics, typography and a ton more. On the top menu you also get a quick access to all the freebies and special deals. You will get very intrigued when you will see how much free stuff they have available. Not only that but all the fantastic deals they have in store for you. 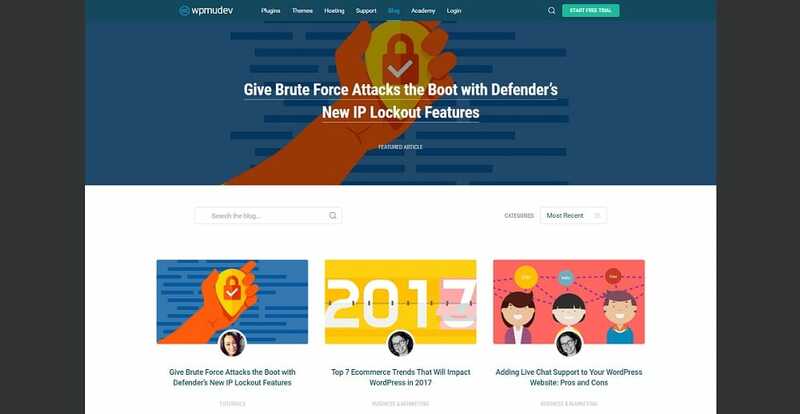 From tutorials and development tips and tricks all the way to free and premium theme reviews, WPMU Dev delivers everything you need to become a pro WordPress user. Their blog is updated on a daily basis and covers pretty much everything WP. Get inspiration, grow knowledge and have a ton of fun within the world of WordPress. Creating a new website from scratch, updating your existing online platform or simply adding a plugin should be enjoyable and exciting. 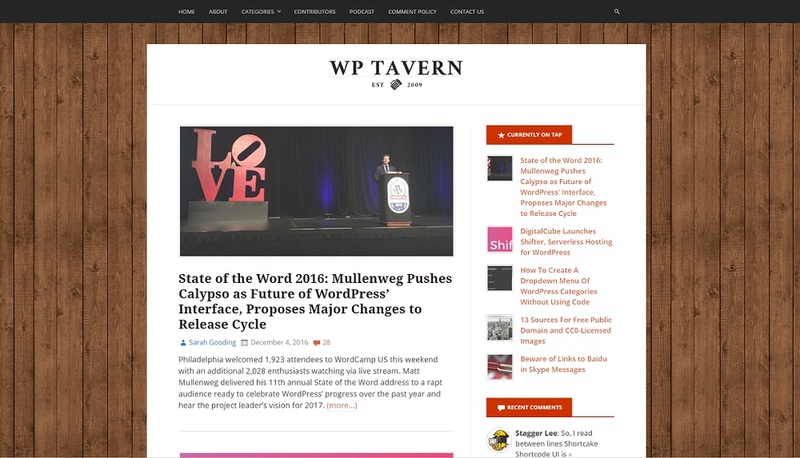 A group of WP experts joined forces back in July 2013, to bring to the WordPress enthusiasts a regularly updated platform with news and updates. The Torque was born. Their main goal is to inform newbies and advance WordPress users about what is new in the industry. Not only that, they also give tips, connect people and offer full support. Don’t miss which trends to follow, how to SEO optimized WordPress videos, storing encrypted data in the WP database and a ton more in between.